Do you ever wish you had “eyes in the back of your head”? Or, that you can be in all places at all times? 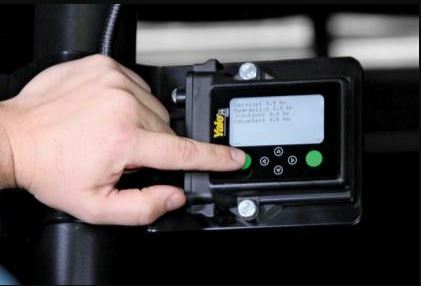 With the Hyster Tracker or Yale Vision Wireless Asset Managers you can! Having an abundance of forklifts in your fleet, having the wrong kind of forklifts, and/or having forklifts down for maintenance, can be extremely costly. With Hyster Tracker or Yale Vision you will get concrete data that can help make the decisions you need to make to improve your fleet. Have you ever wondered if your fleet is the right size? Both Hyster Tracker and Yale Vision give you access to see your forklift utilization and decide if you need more or less of your forklifts assets. Before operating a forklift, each driver will have to “swipe in” so you can know exactly who was driving at the time of the accident. Staying on top of maintenance is a breeze with wireless asset management. Take the guessing out with appropriate guided maintenance cycles. Telemetry tracking is your answer to being at all places at all times. For more information, contact your local branch today! Is an Electronic Forklift right for you?